Mezzanine Debt Rates in 2014 are likely to continue to be favorable for borrowers. More funds are coming on line and mezzanine funds are pressured by banks, who are lending further down the balance sheet. Also, market liquidity is high and many funds have returned capital from earlier deals. This is creating an environment where mezzanine lenders have to work hard to keep their capital invested. With interest rates on mezzanine debt largely fixed, overall mezzanine debt rates in the form of warrant upside have and will continue to come down. The mezzanine market appears to taking its cue from the diminishing risk premia in financial assets, brought upon by many years of low interest rates and increases in the value of most financial assets. The public stock market is a high point. Junk bond performance was strong in 2013. This backdrop creates more active liquidity in the lending markets and emboldens lenders to do more deals and take more risk. Mezzanine debt rates are also influenced by declining loan loss reserves. With less write offs, funds can be more flexible on their overall return requirements. 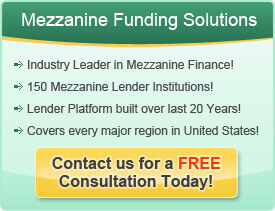 The standard mezzanine debt rate is 11% to 12% fixed upon on the loan. Most loans have an additional kicker be it a warrant or a deferred interest mechanism to increase the rate to the 15% to 16% range. This overall level of return is dramatically reduced from the level of 5 years ago after the global financial crisis, which was 18 to 20%. Mezzanine debt rates in 2014 are at a low point and are more likely to adjust upward rather than downward in the years ahead.